For frequent travelers, especially of the globe-trotting variety, Barclays has a card that rewards travel and non-travel usage, is perfect for business or pleasure and features a luxury perk or two without the luxury annual fee. The Barclays Arrival® Premier World Elite Mastercard®Barclays Arrival® Premier World Elite Mastercard® offers two-times the miles on every purchase, without requiring activation of categories or caps on your spending, and those rewards can be redeemed without concern for blackout periods. On top of that simple-to understand ongoing earning opportunity, it offers a bonus opportunity each year that is based on the amount you spend on the card in the prior account year. That bonus can add up to hundreds of dollars worth of rewards in whatever category you choose: travel, gift certificates, merchandise or statement credits. The Barclays Arrival® Premier World Elite Mastercard® offers all of these benefits and then some. Though the card carries a $150 (waived first year) annual fee, the right card member who budgets wisely and redeems rewards even more wisely should reap the benefits of this card with no problem at all. Earn up to 25,000 bonus miles EVERY account year. Spend $15,000 to earn the first 15,000 miles and spend another $10,000 to earn another 10,000 bonus miles. Enjoy easy-to-understand ongoing rewards earning of two miles per $1 spent on every purchase. Save money with a $100 statement credit once every five years to cover your Global Entry application fee. There isn't a traditional welcome bonus offered with this card, so you can't look forward to racking up a cache of miles within the first three months or so. You can, however, potentially look forward to that annual reward bonus. The key to a credit card you're going to love can often be found in its rewards. 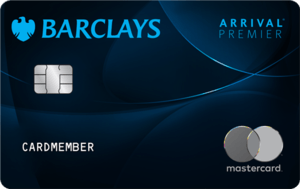 The Barclays Arrival® Premier World Elite Mastercard®Barclays Arrival® Premier World Elite Mastercard® offers unlimited double miles earnings and no expiration dates on those rewards as long as your account remains open, active and in good standing. When you couple these rewards with no foreign transaction fees and discounted airport lounge access around the world (fees apply), any traveler would have their interest raised. Travel rewards – recorded as "miles" in this case – add up fast when every purchase counts toward your total. If you're keen on earning your maximum miles potential, you'll use this card for every expense – paying it off monthly, of course, to avoid any finance charges – and hit one or both levels of bonus rewards at the end of the year. Let us explain: Each year you spend $15,000 on your card, you'll earn 15,000 bonus miles; spend another $10,000 and you'll earn another 10,000 bonus miles for a possible total of 25,000 bonus miles each year. And, yes, you'll still be earning two miles per $1 spent along the way to reaching the bonus miles spending threshold. It might sound like a lot of money to spend, but when you add up your monthly expenses, you'll likely find yourself in at least the $15,000 range or even spending enough for the full 25,000-mile bonus. That's an additional 15,000 or 25,000 miles on top of the double miles you earned all year on purchases. That's 75,000 miles in a year and it's a deal that's hard to beat. Presumably those applying for the Barclays Arrival® Premier World Elite Mastercard® are avid travelers, which makes the Global Entry application fee credit of $100 every five years an important benefit. Global Entry is a program that allows preapproved travelers a less rigorous security gate check at many international airports, saving time (and frustration!) where you need it most. Furthermore, Americans approved for the Global Entry program also enjoy TSA Precheck® status, which will make your domestic airport security experiences move more smoothly as well. It helps too, that purchases made with your Barclays Arrival® Premier World Elite Mastercard® are eligible for complimentary extended warranty, matching the existing warranty up to one additional year if the item has a manufacturer's warranty of five years or less. The Barclays Arrival® Premier World Elite Mastercard®Barclays Arrival® Premier World Elite Mastercard® isn't for everyone. If you don't travel very often, then many of the perks won't be of use to you. Furthermore, this card doesn't offer a traditional welcome bonus, so you'll need to wait a full year – and spend a substantial amount of money – in order to earn a bonus. That said, you'll be eligible for that bonus every year as compared to the one-time bonus most cards offer. The Barclays Arrival® Premier World Elite Mastercard® and the Chase Sapphire Preferred® Card both offer double rewards, but Chase only offers it on travel and dining purchases. Barclays offers the double miles on every purchase. If you're in search of more immediate rewards gratification, however, you'll be enticed by the Chase Sapphire Preferred® Card, which offers 60,000 bonus points after you spend $4,000 in the first three months of the account's opening, which is worth $750 when redeemed for travel through Chase Ultimate Rewards®. That's because when you book travel using your rewards points through the Chase Ultimate Rewards® portal, your points are worth 25 percent more, hence those 60,000 bonus points could be worth as much as $750 in travel. Comparing the two overall, if you're the type who wants more simplicity with earning your rewards, the Barclays Arrival® Premier World Elite Mastercard® is the way to go. There are no spending categories to worry about and no tiered rewards other than the level you hit at the end of year. 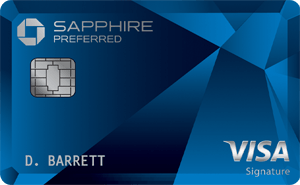 If you're happy to search for the best deals within the Ultimate Rewards® portal when you redeem, however, you could stand to make your points go a bit further with the Chase Sapphire Preferred® Card. 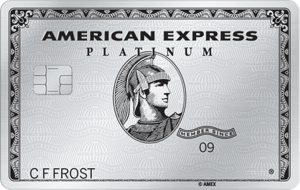 Lastly, the annual fee is less with the Chase card at $95. Both the Barclays Arrival® Premier World Elite Mastercard® and the Capital One® Venture® Rewards Credit Card are general travel rewards cards, so both offer highly sought after flexibility. Both cards entice new card members with bonus rewards; however, if you're impatient, the Capital One® Venture® Rewards Credit Card is the better choice because it offers a bonus of 50,000 miles once you spend $3,000 on eligible purchases in the first three months after account opening. Those miles are worth $500 in travel and "travel" is broadly defined as hotels, flights, car rentals and much more. Barclays Arrival® Premier World Elite Mastercard®, meanwhile, offers up to 25,000 rewards miles for $25,000 spent, but only at the end of each year. Both cards offer the Global Entry fee credit opportunity, which will save you money every few years, but the Capital One® Venture® Rewards Credit Card has a lower annual fee at $0 intro for first year; $95 after that. While the Barclays Arrival® Premier World Elite Mastercard® offers up to a 25,000-mile bonus at the end of each account year, Discover it® Miles offers to MATCH all the miles you earn at the end of your first year. That means that spending $25,000 with the Discover card will also earn you 75,000 miles in that first year. Those bonus miles, however, end after that first year with Discover it® Miles, though you will continue to earn a respectable 1.5 miles per $1 spent – and you'll do all of this with a card that doesn't charge an annual fee. Discover it® Miles also offers cardholders $30 in statement credit each year to cover your in-flight WiFi charges – that's a unique benefit and, since it's offered annually, could add up to be worth more than the once-every-five-years Global Entry fee credit offered to Barclays Arrival® Premier World Elite Mastercard® cardholders. And, let's not forget the difference in annual fees here: The Barclays Arrival® Premier World Elite Mastercard® has a fee of $150 (waived first year); Discover it® Miles has none. The best applicant for the Barclays Arrival® Premier World Elite Mastercard®Barclays Arrival® Premier World Elite Mastercard® is a person who travels often, particularly if that travel takes you abroad. Additionally, because of the annual bonus opportunity, it's best for the person who intends to put most if not all their credit card purchases on the card.